Episode 67: Tirades and Tantrums – The NEW Cool Teacher Show! https://coolteacherpodcast.files.wordpress.com/2013/08/ctp67.m4aChris and Barbara are back again, with some great ideas on how you can use technology tools in your classroom. To start, Chris introduces us to visualizing.org, a website that will help you and your students make sense of complex data through visualization. On this site you can explore datasets to create your own visualization, view other visualizations, and upload and share your completed data visualization. Explore this site and see if there are any visualizations that would augment an instructional unit. 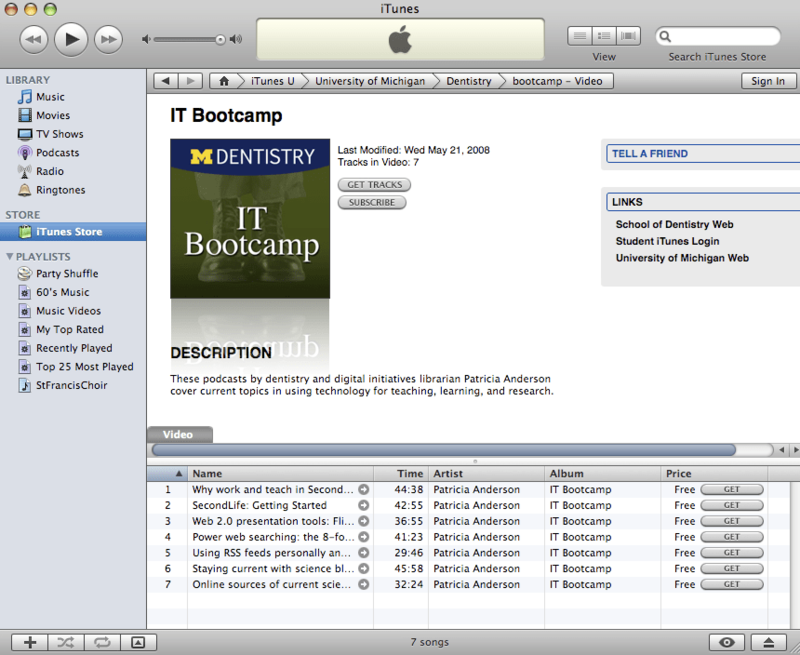 Next, Barbara talks about iTunes U and what is new. Well, not really, really new, but new just the same. For instance, you can now access free ebooks directly through iTunes U. This eliminates the need to search for these free books from websites, enabling the user to quickly locate, download, and read ebooks. And Harvard is now on iTunes U, enabling other learners to listen to popular faculty, such as Professor Michael Sandel’s “Justice” course, an introduction to moral and political philosophy. Many K-12 schools and institutions of higher learning now have public content on iTunes U. Use this valuable, rich tool to locate content that can augment a course topic or unit, for instance, and expose your students to fascinating and knowledgeable experts in the field. It’s a virtual field trip to just about any classroom you could imagine. In “A Case for Gaming,” Chris shows off his knowledge about gaming and why it is an essential component in today’s classroom. He discusses how teachers can use students’ experiences with digital games to expand and enrich the curriculum. It’s an interesting conversation, and one that teachers should be having with their colleagues and administrators. Finally, Barbara talks about Google Moderator, a tool that will collect questions, suggestions, or ideas on a topic. There are many ways this tool could be very valuable in the classroom, such as collecting information from students, having students ask questions, and then gauging which of the submissions are the most popular. Just go to that link, sign in with your Google credentials, and add your suggestions. We encourage you to vote on other ideas and make additional comments as needed. You can even attach a YouTube video related to your post. Try it out and then think about ways you can use this tool in your classroom. As always, thanks for watching and/or listening to our weekly podcasts. We value our listeners and our followers.